You know your business name is important. I know your business name is important. So your business name is more important than you thought, AND you have no idea how to lay bricks. But you, my friend, are in luck because the business name generator infographic is like the yellow brick road to naming your business. The yellow brick cornerstone, if you will. But enough with the life lessons. Let’s fork into the meaty tips that will get you closer to unveiling your shiny new business name. Naming generically is no secret. It’s a supply and demand thing. 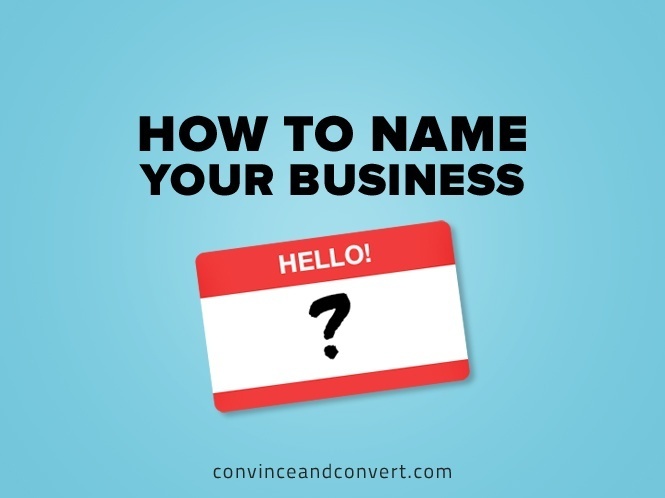 The business naming infographic would be out of a job if everyone could have the most obvious name in a category. But if a generic name in your niche isn’t an option, let’s talk invented names. What was your favorite tip from the coin-a-name section? My favorite is the mascot. Mascots are just plain fun, but consider growth before you mascot up. Can a mascot grow with your business? Think of it like getting a new puppy: This mascot will be with you for the next eight (Great Dane) to 18 (Chihuahua) years. Who am I kidding—you all plan to sell your company and retire on an island before that long, right? Another naming hack we love is adding, subtracting, or swapping out a letter from your business field. Brian Dean at Backlinko added an O to his specialty, backlinks. The social drinking app Untappd subtracted an E (much like drinking craft beer subtracts my brain cells). Every Movember, thousands of men swap out their clean shaven faces for a moustache in support of men’s health. Speaking of fall facial hair, do you belong to the No-Shave November or Movember tribe? Not only is it a classic beard/stache battle, but also a perfect real-world example of a descriptive vs. creative brand name for the same thing. Remember: Trial and error is your friend. Think big, and have fun! Rhett Crites just got fired from corporate America last Tuesday. Anyone hiring? But seriously, Rhett is just a guy with a family... who is a Colorado Rockies fan, a dog guy, a craft beer supporter, and a Johnny Cash junkie. You can find him on the Interwebs talking domains at Namergy, equipment at Heavy Equipment Appraisal, or humbly serving his wife at Bloom Marketing.